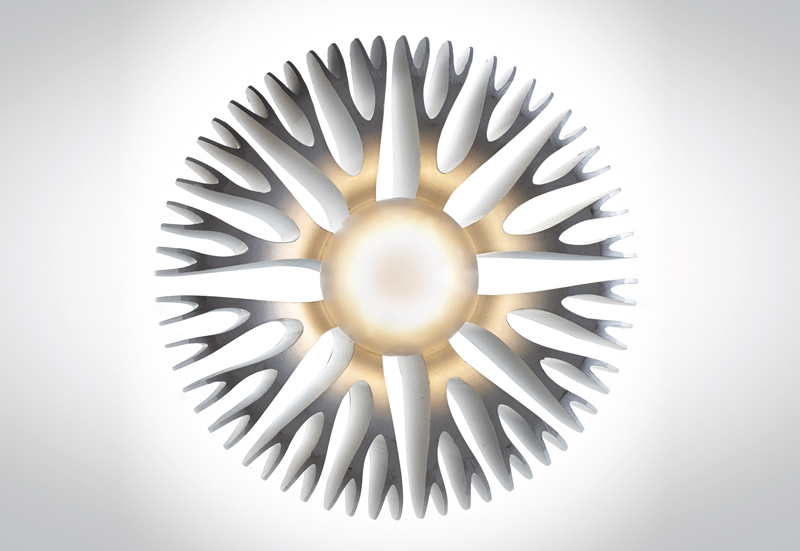 “Florensis is a new concept in lighting aesthetics for all kinds of applications. 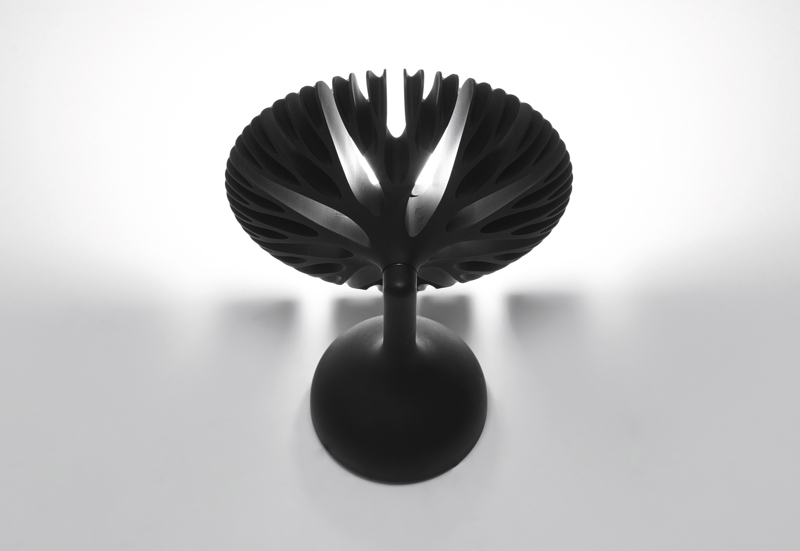 Its floral bud has been arrived at through a unique way of creating form ; the convergence of two different flows and processes. 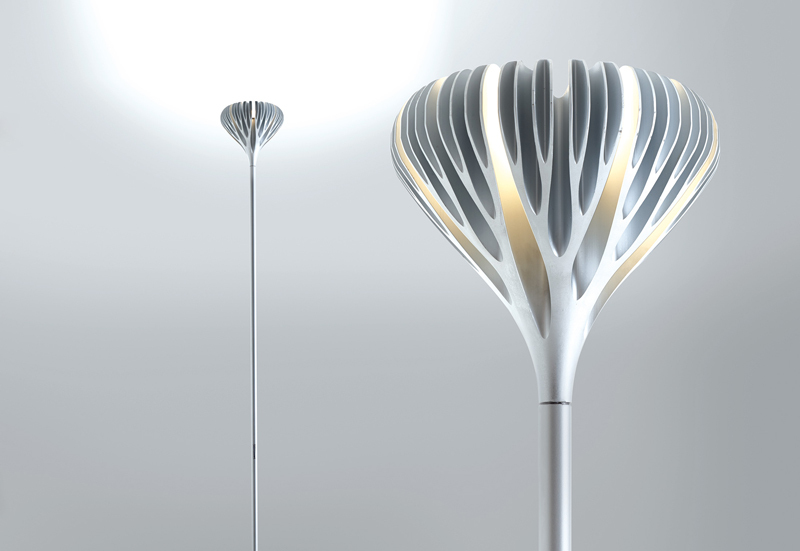 The host form has been extruded in a linear way, suggesting upward growth, whereas the ‘Bud’ has been machined into its nature form , opening up beautiful botanical apertures and veins that diffuse both light and heat.